Hi there! I’m so glad you found yourself here at Ozark Speech Pathologist. You must love speech-language pathology as much as I do! I’m a Speech-Language Pathologist with over 10 years of clinical experience in the school, skilled nursing, acute care and inpatient rehabilitation setting (my current jam). Thanks to the invaluable assistance of my mentors, I successfully transitioned from pediatric to adult-based clinical services years ago. I am LSVT-certified, Vital-Stim certified, and FEES trained. Additionally, I’m an associate member of the Dysphagia Research Society and a certified member of ASHA SIG-13. 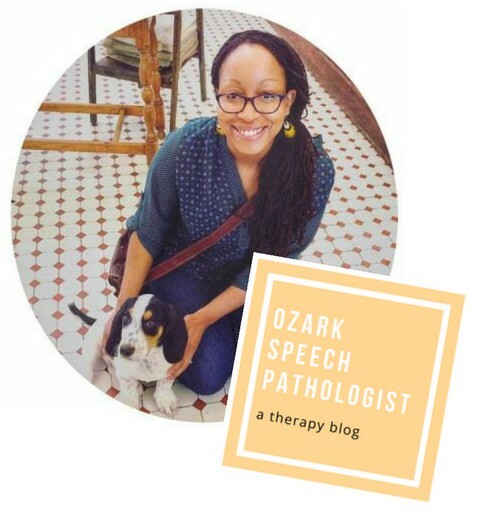 I carved out this corner of the web to cultivate a creative space dedicated to my pursuit of collecting and sharing resources related to adult medical speech-language pathology. I enjoy creating and sharing resources that benefit my patients and make life as a busy clinician easier. The purpose of this blog is to share this variety of clinical materials and resources that I find or create with other rehab clinicians. I hope you enjoy what you find! Very nice site. I came across it on the Adult Speech Therapy Group or one of the groups I follow. Thank you. Thank you! I look forward to updating again soon once real life slows down! I’m glad it has been helpful! Thanks for the kind feedback! Can I tell you how you just made my life soooooo much easier?!!! Thank you! You are generous and talented. Thank you. Thank you so much! I’m glad you found some useful resources! Great site for suggestions for new clinicians! Thanks!! Thanks for all the great resources! As a home health SLP, I’m constantly searching for new ways to stimulate my patients. Lori – you are so very welome! And thanks for the kind comment! I am a CF at a SNF and I cannot thank you enough for the wonderful resources on here! They have made this new experience so much better for me and especially for my patients! Thank you!!! I love your blog!! Thank you for all the great ideas! Can’t wait to hear more. I just printed some to try with my patients tomorrow! You have an amazing site. I currently work in a SNF in the Ozarks! I can’t wait to try some of the activities you have here. Thank you for sharing! Thanks for stopping by and checking out the site! It’s nice to meet a fellow Ozarkian! Holy. Cow. I have hit the jackpot. Looks like I have a date this weekend with my printer and laminator. THANK YOU! Thank you so much for the AAC boards that I downloaded and used with my stroke patient at the hospital this week! Big Timesaver! Your story sounds like mine! I spent 4 years in public schools, transitioned to SNF, and tried to get into the medical field…..Told I was under qualified. And, I’m also in the Ozarks and NWA area. So happy I came across a pinterest post linking me to your blog. I’m always looking for fresh ideas to use! Thank you so much–I wanted to brush up and get some new therapy activity ideas. It’s nice to have the activities and their purpose all in one place! I’ve pinned your page to my SNF Speech page and would like to invite you to our FB group as well: SLPs in SNFs. So many great ideas on this page. Thank you for sharing all of them! THANK GOODNESS for your creation of this site! I read your bio and we have a lot in common in terms of settings and our transition to Adult rehab. I have just started checking out your resources and am having so much fun! Just found your site through a Google search for finance management tasks. THANK YOU! You have so many great therapy ideas and thoughtful reasoning behind each one. Very helpful! I look forward to more of the great things you have put on here. Your safety awareness cards are totally AWESOME and I use them daily. I have been in a SNF setting for 18 years and find myself looking for new materials and therapeutic tasks all the time. Thank you for doing this blog!!! Thank you so much for creating this site! I work at a a university and refer my students to your website consistently. I, too, am an Ozark transplant from Seattle 🙂 . Came across your page after googling for functional therapy ideas. UK based SLT and just changed jobs to begin working in neuro rehab. Your ideas and resources are amazing! Thanks for sharing. I am a speech pathologist in Sydney, Australia. I was about to make up some functional word cards for playing Go Fish with a moderately aphasic gentleman I treat and then I thought to google it and see if anyone had done this already. THANK YOU for saving me all of that time. Great site BTW. Well done Jessica! You have provided a great service for the student, CFY and seasoned professional SLP. I love your site and appreciate your information. Thank you so much Nancy! Your kind words are greatly appreciated! I’m always so happy to know that some of my musings have been found to be helpful!